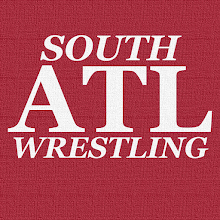 South Atlanta Wrestling: It's Friday! Hope you have a great Friday and even better Easter weekend (if you celebrate Easter, of course). I was really torn which direction to go with the It's Friday! song this week so I am going to split the difference. Our official It's Friday! song is the theme song of the returning Brock Lesnar. Follow the link below that to a Good Friday/Easter selection if you would like. Click here for our Good Friday/Easter selection, Casting Crown's "Glorious Day (Living He Loved Me)--Live!